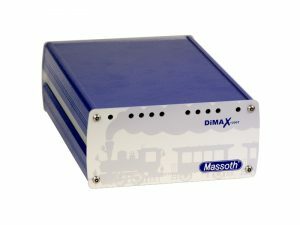 Now you can enjoy the never ending liberty of controlling your model railroad utilizing the DiMAX Navigator. 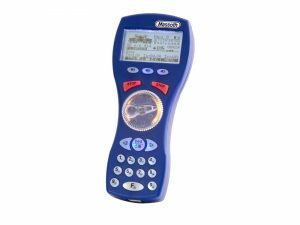 This wireless handheld control offers a variety of enhanced features no other remote control offers. The DiMAX Navigator can control locomotives and switches or switch routes at the same time. The housing is ergonomically designed with the weight being perfectly balanced. The symmetric design of the DiMAX Navigator facilitates right and left hand operation. This large clearly arranged display sets the standard for today’s cab controls. The wide crystal display with its white backlight shows the exact operating situation of your locomotives as well as your layout. It contains this distinctive feature that serves your individual convenience: the Navigator provides the locomotive icons of the most common locomotives being available on the G-Scale and Large Scale market. Each locomotive is displayed with a real icon on the LCD display. Additionally each locomotive is marked by an individual name to distinguish between locomotives of the same type. The DiMAX Navigator features a wide LCD display background lighting and blue/white keypad lighting. This ensures a safe operation in any given light condition. The back lighting may be dimmed or switched off for energy saving measures. In addition the dial knob (throttle) is lit in various colors depending on the mode. The stop keys are lit when the stop function is activated. 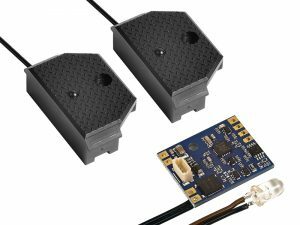 Starting in 2019, Massoth will introduce the new 2.4GHz carrier frequency radio technology for navigators and radio receivers. The new radio system allows international use and reduces the product variety to one transmitter. The range is comparable with the previous radio system. 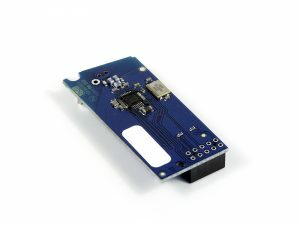 All navigators currently on the market can be equipped with the #8131901 retrofit transmitter. This means that the navigators will also be state-of-the-art in the future.